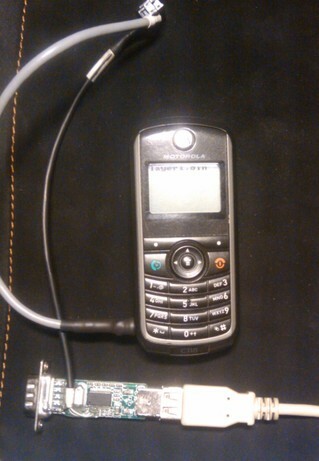 osmocom-bb - free software finally comes to GSM stack! to become 3.3 TTL serial cable. Audio connector also required some manual work to fit into Motorola. From software side of thing, we needed to use testing branch of project to get SIM card support (because private network key is stored inside SIM card). Than I made mistake and didn't follow OsmocomBB Getting Started Guide and I decided to use ARM compiler which I had on disk as opposed to suggested one on page. This produced semi-working firmware which wasn't able to connect to network. Changing compiler (after few days of experimentation) fixed problem, just in time for our meeting. # Uncomment this line if you want to write to flash. In the process, I wrote a couple of helper scripts to make easy demos really easy which I will include here for future reference. echo "press power of cell phone to load layer1"
Alternative usage with multicast group 224.0.0.1 mentioned on Wireshark integration page isn't applicable to me, because I don't want to stream gsmtap over my local wifi to router. So was it worth it? If you get kick from watching protocol dumps (as I do) it sure is. This is major milestone for free software, because you can have fully free GSM stack (osmocom-bb on phone side and OpenBSC on provider side).